The city of Vrindavan is located about one hundred kilometers from New Delhi. Five hundred years ago it was a forgotten place. But it is the place where Lord Krishna grew up as a child and young boy five thousand years ago. 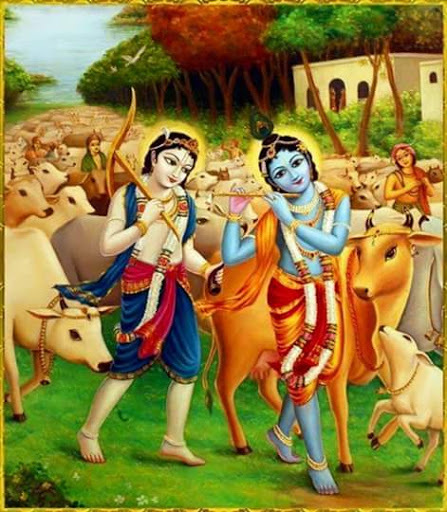 Vrindavan was revealed and rediscovered by Sri Caitanya Mahaprabhu who delegated his disciples, the six goswamis, to reestablish the sites of Lord Krishna's pastimes. So the gosvamis constructed the major temples of Vrindavan and in the years following thousands more Krishna temples have been opened in Vrindavan. So Vrindavan is the land of Krishna and the land of temples. Visits to the original Gopinatha Deities and the Vrindavn Gopinatha deities.